Most dogs love to chase balls. So, choosing the right ball for your dog can make a big difference to both their enjoyment and safety. Playing ball with your dog each day can also be a very rewarding and bonding experience for both of you. It provides your dog with the mental and physical exercise they need each day and can even help keep problem behaviour at bay. A dog that is appropriately stimulated and has enough environmental enrichment in their life each day is generally a calm and well behaved one. 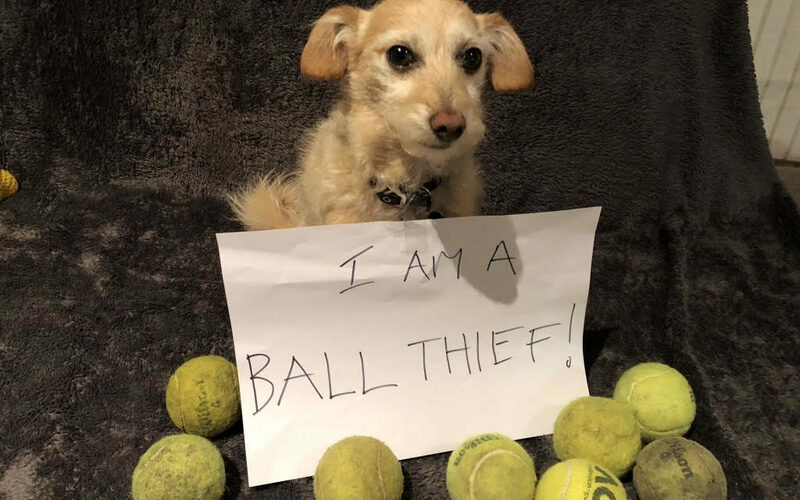 However, it is important that you consider their safety when choosing the right ball for your dog, as not all balls are equal and many can pose a great risk to dogs. Here are a few questions you should ask yourself first so that you are not wasting your money or putting them at risk. It’s important to not buy a ball that is too big for your dog’s mouth, as their enjoyment level will wane quickly as they struggle to pick it up. Make it too small and it can becoming a choking hazard or end up having to be extracted from their stomach. What material do you want the ball to be? Some dogs love the fur on tennis balls a little too much, so they spend their time pulling it off rather than actually playing with it. It’s important to also choose safe, non-toxic sturdy materials or you could be throwing away your money…not just the ball! Do you spend a lot of time at the beach? Rubber balls are the best when it comes to the beach, but not all of them float so keep an eye out for the ones that say they do. The great thing about a rubber ball is that they are easy to clean, they don’t feel gross when you pick it up off the sand and they don’t retain water each time they land in the ocean. They also come in array of bright colours, so if it’s a bit choppy in the sea you can still see where it landed. Do you take your dog to the park more when it is getting dark? Night walkers there are balls made especially for you and your pooch! Purchasing a glow in the dark ball can help here, but make sure it is not a cheap plastic toy that can be easily destroyed. And, if they have parts that help it glow or flash inside, then it is definitely not for a dog that likes to chew on them as they can pose a great health risk. Tennis balls are a great standard go to ball for almost any dog, but they can become a hazard if your dog then likes to chew on the fur and it also does not do their teeth any good as tennis balls can wear down their teeth if they are de-fluffing it all the time. So if they are into this, then best to only use them with a ball thrower at the park and avoid allowing them to get away with de-fluffing them to avoid it becoming a habit. If you do have a dog that loves to chew then you should be looking for balls made from thick, non-toxic sturdy rubber. Also, remember they are not a toy, so should not be left alone with your dog if they are a chewer. Check out the Aussie Dog range of balls, some of their range can even withstand some of the toughest chewers going around. The other important thing to remember with dogs that like to chew balls is that squeaking balls can be very alluring and can quickly be ripped apart, again posing a risk to your pooch, so go with safety first and avoid these at all times with squeaker loving ball and toy chewers. Keeping your dog’s safety in mind when choosing a ball can’t be underestimated and this article clearly demonstrates why. You can also read more about destructive chewing here. and some tips to help.